When portfolio managers talk about successful investing, they often mention risk diversification and money management. These strategies can separate those investors who are successful because of knowledge and skill from those investors who are simply lucky. Investors relying on money market funds to build their wealth may soon find themselves scrambling as money market funds are close to going negative and as the SEC considers new rules in response to the collapse of Reserve Primary Fund in September 2008. For these investors, short-term Bond Ladder portfolios may provide many of the benefits investors seek in money market funds such as relative stability, predictable income as well as an alternative temporary parking place for assets. A simple and effective strategy of buying bonds with staggered maturities reduces interest rate risk exposure in a rising interest rate environment. As bonds systematically mature, they are re-invested at prevailing rates. Unlike bond funds, holding individual bonds to maturity eliminates fluctuations in the principal value and provides a steady stream of predictable income. What are bonds? Bonds are debt securities issued by corporations, governments and municipalities and are similar to IOUs. Investors lend money to an organization and in return receive interest payments. In addition, the organization is obligated to return the principal to investors on a future predetermined date. When purchasing bonds, investors become creditors of the bond issuer and, therefore, have a priority claim on the issuer’s assets in the event of bankruptcy. What is a Bond Ladder A bond ladder is the name given to a portfolio of bonds with different maturities. Suppose you had $50,000 to invest in bonds. Using a Bond Ladder approach, you could buy five different bonds with a $10,000. face value each. Each bond, however, would have a different maturity date. One bond might mature in one year, another in three years and the remaining bonds might mature in five or more years. Each bond represents a different rung on the ladder. Why Use A Bond Ladder? There are two smart reasons to use a bond ladder approach. First, by staggering the maturity dates of your bonds, you won't be locked into one particular bond for a long period of time. A problem with locking yourself into a bond for a long period of time is that you can't protect yourself from bull and bear bond markets. If you invested the full $50,000 into one single bond with a yield of five percent (5%) for a term of 10 years, for example, you wouldn't be able to capitalize on increasing or decreasing interest rates. How to Create a Bond Ladder To create a bond ladder, first determine how much money you wish to invest and how long you want to invest it. Let’s say you want to invest $150,000 over 10 years. 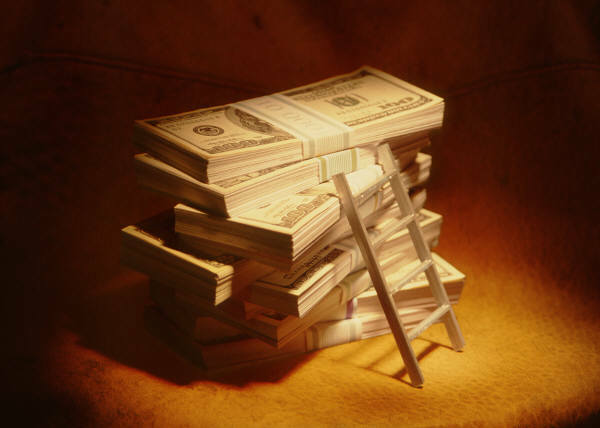 Now envision the parts of a ladder: Rungs: Take the total dollar amount you plan to invest ($150,000) and divide it equally by the number of years you wish to have a ladder (10 years). This gives you the number of bonds you’ll want for your portfolio, or the number of rungs on your ladder. The greater the number of rungs, the more diversified your portfolio will be. Height of your ladder: The distance between the rungs is determined by the duration between the maturities of the bonds you have chosen to purchase. The maturities can range anywhere from every few months to a few years. The taller you make your ladder, the higher the average return should be in your portfolio since bond yields generally increase with time. This higher return, however, is offset by reinvestment risk and the lack of access to the funds. 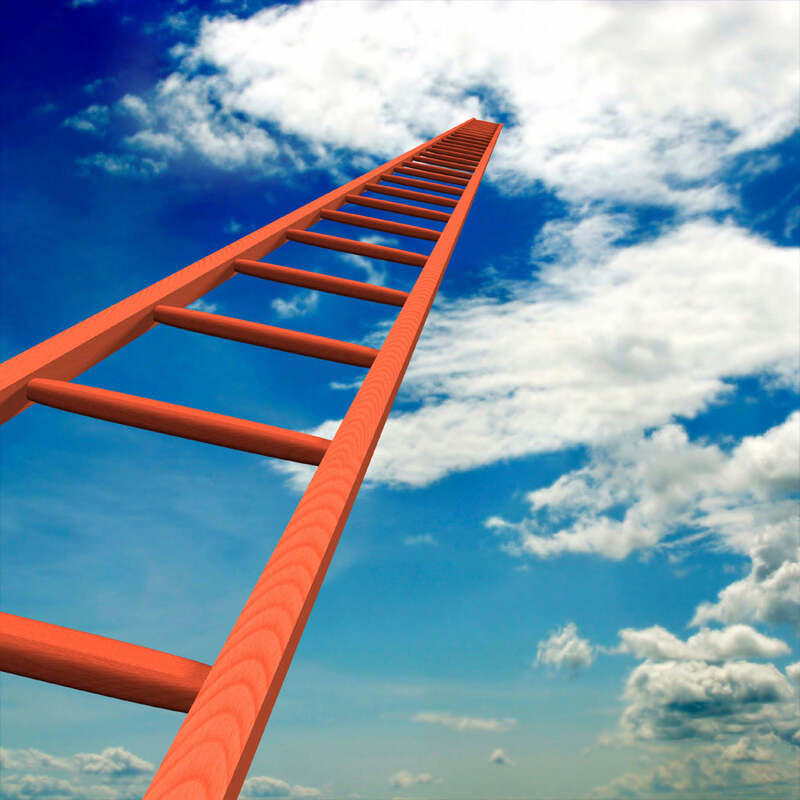 Making the distance between the rungs very small reduces the average return on the ladder, but you have better access to the money. Materials: Just like real ladders, bond ladders can be made of different materials. One approach to reducing exposure to risk is investing in different companies, but investing in products other than bonds is sometimes more advantageous depending upon your needs. Debentures, government bonds, municipal bonds, treasuries and certificates of deposit - each having different strengths and weaknesses - are different products that you can use to build your ladder. One important thing to remember is that the products in your ladder should not be redeemable or “callable” by the issuer. This would be the equivalent to owning a ladder with collapsible rungs. It's been said that an investor should not attempt to build a bond ladder unless they have enough money to fully diversify their portfolio by investing in both stocks and bonds. Investors generally need $10,000 to start a ladder that has at least five rungs. As with any investment choice, make sure that all your eggs aren't in one basket so that you can control your exposure to risk, have greater access to emergency funds and have the opportunity to capitalize on ever-changing market conditions. Written by Elizabeth Luna: Contributing writer on Finance Vice President and Financial Advisor, CONCERT Global, Ltd.